Update: @AuthorizeNet down 10:30am ET 3/29/15 … (back up 11:41am ET) « Adafruit Industries – Makers, hackers, artists, designers and engineers! 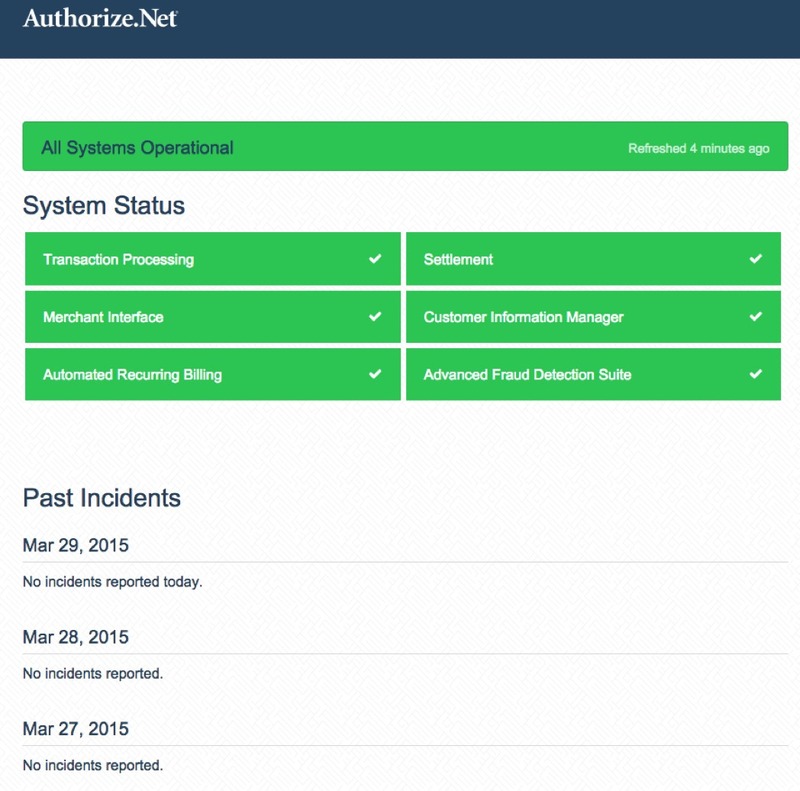 Folks, Authorize.net is currently down, this means no credit card payments at this time. Please use PayPal and/or Amazon Payments for now. We’ll update this blog post once it’s back. 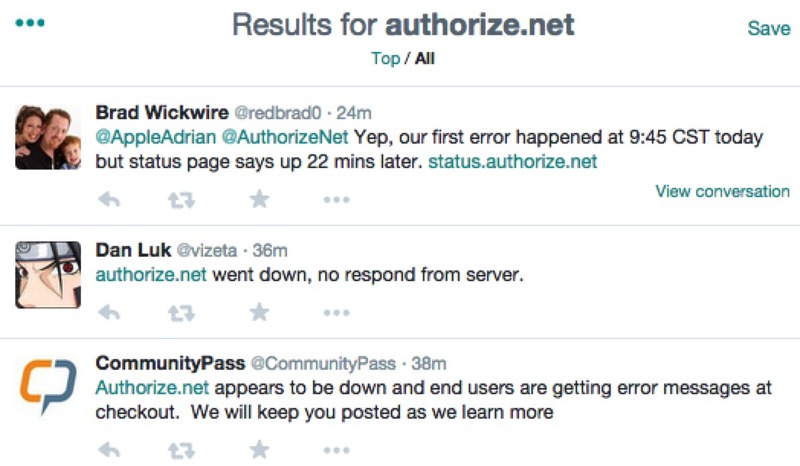 Authorize.net has a system status page but it’s not reflecting the outage, Twitter has the best info from other merchants reporting the outage. Resolved – The issue affecting Merchant Interface access and API transaction processing for some merchants has now been resolved. If you have further questions, please contact Customer Support. Monitoring – We have implemented a resolution and are monitoring to make sure the issue is resolved. Investigating – We are currently investigating issues being experienced by some with the Merchant Interface and posting transactions via the API to Authorize.Net.